The entire secret of the Resurrection of our Chrestos resides in the silver cup of Benjamin. The Nazarenes had a chalice as a sacred symbol. Benjamin is a symbol that represents the very essence of our Astral vehicle; properly, such an essence is our Chrestos, who has to pass through the symbolic death of our Lord Jesus Christ. The silver cup found in the sack of Benjamin is our Holy Grail, our divine Chalice, filled with seminal energy, filled with the wine of light or the redeeming blood. We achieve the Resurrection of our Chrestos by drinking from the chalice of Benjamin,. By performing an in-depth examination on the Resurrection of our Chrestos or the Astral Mediator, we can clairvoyantly see an essential depth, a psychic principle, an independent principle, a Superior Astral, represented by Benjamin, the beloved brother of Joseph, son of Jacob. This divine Astral body remains for three days within his crystal tomb or Holy Sepulcher. On the third day, this Superior Astral unites or fuses with the Innermost and thus he rises from his tomb. All of this is the initiatic process of the Third Initiation of Greater Mysteries. 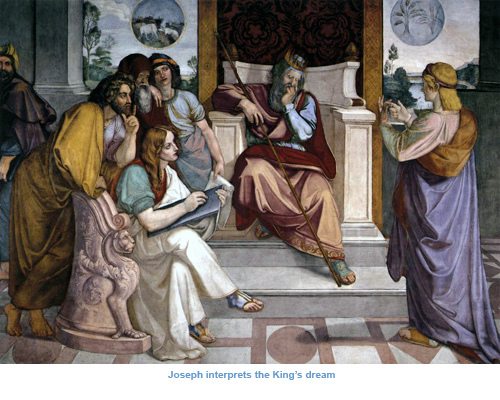 Within the legend of Joseph, son of Jacob, is enclosed the initiatic process of our Chrestos. Joseph represents the Astral body of the human being and Benjamin represents the Superior Astral, the Divine Chrestos, which is contained within the Astral body of the human being (as the silver cup is contained within the sack of Benjamin). Properly stated, the sack is the Astral body, and the Divine Astral or Benjamin is our Chrestos, who is Benjamin himself, the Superior Astral. And it is by means of this Divine or Superior Astral that we return to our Father. 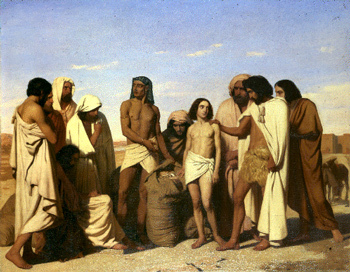 Joseph saw his father Jacob again by means of Benjamin. If we observe a wheat spike, we see how it grows, millimeter by millimeter, under the potent rays of the Sun, until it yields the grain; once the grain is yielded, everything else dies. The Chalice of our sexual energy is found within our Astral body, in other words, within our sack of Benjamin is the chalice whose power creates a type of independent and Superior Astral, which after three days in the Resurrection is united and fused with the Innermost. Properly, this new Astral becomes our Chrestos, who abandons the sack of Benjamin. As the butterfly escapes from its chrysalis, likewise, the new Astral escapes from the Astral “sack” within which he was formed, and exclaims: It is written, I will dwell among your loins. Life feeds with death and death works for life; our old passions die so that life can surge forth. This new Astral is an ineffable pleroma, it is an aroma filled with perfections, it is the summum of wisdom. Theosophists, Rosicrucians and Spiritualists talk a lot about the Astral body and think that they know it thoroughly. But who among them has ever spoken about the third igneous serpent, and about the ultrabiology and ultraphysiology of the Superior Astral? Who among them knew that within the Astral body another Superior Astral body is formed? Who among these brothers perhaps knows the manner in which our third serpent ascends through the very subtle medulla of our Benjamin or Superior Astral? I bluntly affirm that all the books which have been written in the world about Theosophism, Rosicrucianism, Spiritualism, etc., are completely antiquated for the new Aquarian Era, and therefore they must be revised in order to extract from them only what is essential. Here, I, Samael Aun Weor, deliver onto humanity the authentic message that the White Lodge sends to humanity for the new Aquarian Era. God has delivered onto humans the wisdom of the serpent. What else do they want? This science is not mine; this science is of God; my person is not worth anything; the work is everything, I am nothing but an emissary. Not all people have the Superior Astral; such Astral has to be engendered and that Astral is engendered practicing Sexual Magic intensely with the spouse. This is what is called forming the Christ within us. Based on this, the Gnostics affirm that there exist two types of birth: “The birth of the flesh, originated from the coitus, and another different one, for which the coitus is not necessary.” From the first type of birth, that is, from the coitus of fornicators, come forth people condemned to death, and from the second type of birth, that is, from Sexual Magic or conception of the Holy Spirit, Angels come forth, our Chrestos comes forth, the new Astral body or Mediator Christ comes forth. Therefore, the path of the domestic home, lived with wisdom and love, leads us to the ineffable joy of Nirvana. The woman is the path; the woman is the door. After the Resurrection of our Chrestos, the Initiate has to descend into the submerged worlds of the secret enemy. 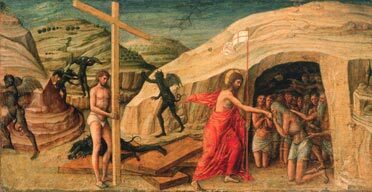 It is stated that after the Resurrection, Christ had to descend into hell in order to take out the souls of our first parents: Abraham, Jacob, etc. from there. This is a living symbol of what the Initiate has to live after his Resurrection. It is unfortunate that the Lutheran Bible has suppressed these Biblical passages written in the original text, and there is no doubt that this is due to the very ignorance of the Protestant sects. Even when the Protestants assure us that Luther did the translation from the authentic original Greek, this is not so, because Martin Luther did not know Greek. Only we, the Gnostics , possess the original Greek texts of the sacred scriptures, within our holy Gnostic Church. The Bible is the sacred book of the Gnostics , and only the Gnostics can understand it. The Lutheran Bible is based on the works of St. Jerome, which are intentionally defective, since St. Jerome had to channel things according to the interests of Roman Catholicism (according to the orders received from Pope Danasos). St. Jerome was the true author of the Latin Vulgate. This is how, before the Ascension, the Initiate has to descend to the submerged worlds in order to destroy the most intimate roots of evil. Thus, the Initiate penetrates into truly infernal regions, impossible to describe with words. The Ascension comes precisely forty days after the Resurrection of our Chrestos. It would be very difficult to bring the memory of the superior worlds of Consciousness into the physical world without the intervention of our Astral. The Astral is our Mediator and as we have already stated, it is intimately related with our endocrine glands and with our grand sympathetic nervous system. Each of the senses of the Astral body is found intimately related with the endocrine glands, and because of this it is of indispensable urgency to uproot the Astral body from the submerged worlds and to make it take root in the plane of the Gods, because the Astral is the instrument which we possess in order to link our earthly personality with the Heavenly Man. In the Second Initiation of Greater Mysteries, we are baptized with water, and in the Third Initiation of Greater Mysteries, we are baptized with the fire of the Holy Spirit. John baptized us with water, Christ baptizes us with Fire. During these forty days that precede the Ascension, the Initiate is totally prohibited from all sexual contact, since he must maintain his aura totally luminous and serene, free of any passionate wave. Only after the forty days, can the Initiate continue practicing his rite of Sexual Magic. But during those forty days preceding the Ascension, the Initiate must transmute his sexual energy through the mind. During these forty days preceding the Ascension of our Astral body, we have to inevitably descend into the abyss in order to definitively cut off all relationships, all roots, all ties with the creatures of evil. There we meet our former colleagues of evil, and there they ridicule us and attack us incessantly. There we have to live, or better said, relive all those tenebrous scenes of the past, and in this way we cut off the roots that unite the tree of our life to the abysses of evil. Now the Initiate will comprehend why the Master must abstain from the sexual rite with his spouse for those forty days. It is necessary that the aura be brilliant and luminous in order to defend oneself from the potencies of evil, and in order to make it easier for the Hierarchies to do the work of uprooting our Astral vehicle from the putrescence of evil. This labor is very heavy for the Hierarchies. Now the devotee of the Path will comprehend the esoteric meaning of Lent. The authentic Lent is not before the Crucifixion of the Master, but after his Crucifixion. But already the Catholic Church and the other Neo-Catholic, Protestant, Adventist sects, etc., lost the tradition of all of this. It hurts to see how human beings are profoundly rooted in the abyss of evil. In these submerged worlds, painful scenes of the past surge forth before the Initiate, which he has to once again relive in the abyss in order to break every tie with the darkness. This is the farewell that the Initiate bids to darkness. Therefore, Christ said to Mary Magdalene, “Do not touch me,” because the Astral body of the Master was surrounded by demons. 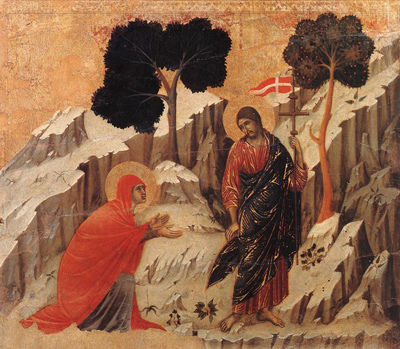 Mary Magdalene remarkably loved the Divine Rabbi of Galilee, thus, when she, standing, leaning against a wall, heard the terrible word, “Tibo, Tibo, Tibo!” which condemned the Christ to pass through the event of Golgotha, she was filled with indescribable terror. The mission of Christ is indeed terrifying. The Lord loaded upon his shoulders all the weight of a very heavy cross. The Christic force is what redeems us; the blood of the Lamb is the blood that saves us from the abysses of evil. The doctrine of the Resurrection of the dead is the doctrine of Christ. During this Lent, the Initiate forever breaks those ties that bind the ship of his life to the port of Aeodon (affliction). In this book, we have talked exclusively about the Resurrection and Ascension of our Astral body or Mediator Chrestos: this is the Doctrine of the Nazarene. In The Revolution of Beelzebub, we speak about the Resurrection of our Divine Consciousness (High Initiation), and we also speak in that book about that transcendental Ascension (which the Nirvani without residues performs, when it fuses with the Glorian). But now, in this chapter, we will only draw attention to the Death, Resurrection and Ascension of our Astral body or Mediator Chrestos.